Despite the multitude of business phone solutions available, many businesses still choose to keep their traditional landlines. 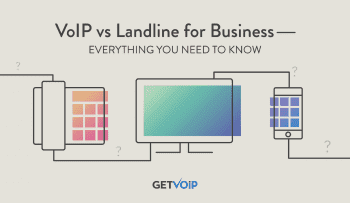 While virtually all VoIP and telephony providers offer a tremendous amount of services, features, and add-ons, updating your business phone from a landline is the sensible thing to do; however, regardless of all the potential benefits, many still do not make the switch. Whether it’s due to a lack of information, lack of interest, or cynicism, the traditional landline continues to be used. Though there a number of arguments and justifications, we have compiled six top reasons businesses still choose to keep their traditional landline phones. Call Quality – Though business VoIP providers such as Nextiva and Vocalocity offer quality connection, many businesses feel that there is no beating the quality of a traditional landline phone. With VoIP services, the analog voice signal is converted to a digital format, which is then sent through the Internet. While this process is designed to eliminate data interference, many businesses choose to stay with service that is familiar and proven. Using traditional service, calls travel through dedicated landlines that are tired and true. This inspires confidence is business users, as they know they are receiving quality service. Additionally, many fear the potential of disruptive factors such as echo and dropped calls; however, the typical causes of these factors occur on the other end, which you have no control over anyway. Power Dependence – VoIP phones and hardware rely on electricity, which becomes troublesome in the event of a power outage. 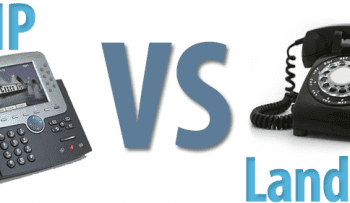 While some VoIP phones are equipped with batteries and alternate power sources, they cannot compare to the dependability of a landline. In the event of a power outage, corded phones can hook to any phone jack. Additionally, phone companies have emergency backup power sources, which power these jacks. As a result, the traditional line maintains its operability despite the absence of electricity. Emergency Calls – Aside from power outages and general quality, landlines may be kept due to locational identification when placing emergency calls. Landline calls to 911 appear with the address of the phone being used. Though nontraditional phones use GPS technology to help operators locate the call source, this may sometimes take longer, delaying response time. In the case of an emergency, businesses would want and need the fastest response time; therefore, they may choose to stick with their traditional phone. Setup and Management – Many businesses fear that switching from their traditional service may cause a number of technical issues. Whether these fears pertain to the setup or management of a new system, businesses don’t want to concern themselves with anything technical or time consuming. 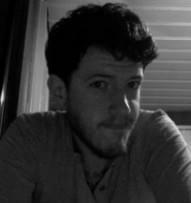 As a result, many keep their traditional lines as a measure to avoid any complexities. Despite VoIP services being highly accessible, easily installable, and easily manageable many are intimidated by the prospect, and a result, they keep the service that is most familiar to them. Privacy/Security – While businesses may seek out security systems, many systems with alarm and communication to emergency responders require a landline. Additionally, if they don’t require one, they may highly recommend one. In response to this, businesses may have greater piece of mind adhering to the systems wants or recommendations (even if they aren’t necessary). Aside from security is the matter of privacy. Some may feel uncomfortable divulging sensitive information through an internet based phone connection. While VoIP services offer a number of safeguards and enhanced privacy features, some businesses may stick with a phone they deem more secure. 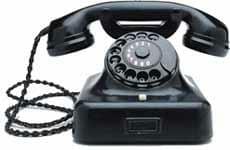 There are a number of reasons behind businesses’ keeping traditional landline phones. Despite VoIP business phone solutions offering a number of features and services that are quality, cost effective, and helpful, many still refuse to make the switch. As the VoIP industry continues to grow, it will be interesting to see the number of businesses that end up switching.